Drive up the main drive having turned off the A61. Take the left hand fork, drive around to the staff car park. You can park here. 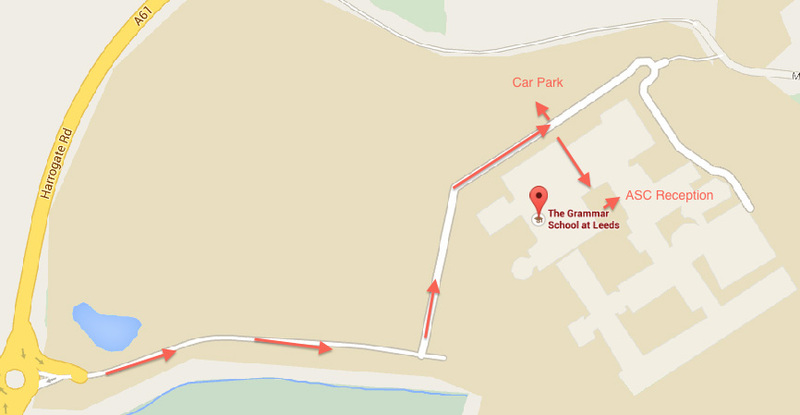 You then walk towards the school, you will see a cut between the two buildings; take this route. The swimming pool is on your left as you walk through. turn left at the end of the cut and you will see Active Sports Camp in the glass fronted building.